DOWN Arts Centre have a packed weekend of workshops and performances coming up to suit all shapes and sizes. On Friday 16 November at 8pm, The Corncrakes play live, followed on Saturday 17 November at 8pm by Nuala McKeever’s new comedy, In the Window, and an afternoon of music with The Story of Gilbert and Sullivan at 3pm on Sunday 18 November. In addition to all this we have creative workshops for children and grown ups. 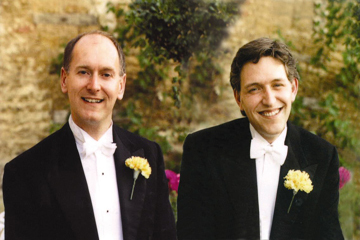 Tim Hurst-Brown and Peter Hewitt will present an afternoon of Gilbert and Sullivan. 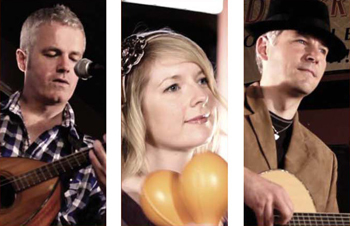 The Corncrakes are a Belfast-based band that fuses acoustic folk and pop influences. They are currently promoting their new album, ‘Ingo and the Bouncy Castle’, the result of a two-year studio collaboration with producer Mudd Wallace. The band consists of bouzouki-playing singer-songwriter Dave Robb, whose lyrics have been described as ‘powerful and universal’ by The Scotsman, guitarist Paul Webster and singers Meabh Cormachan and Caroline Pugh. Listen to The Concrakes playing MEXICO – traditional music meets the modern. The band have recently played at the Fiddlers Green Folk Festival, the Atlantic Sessions in Coleraine and the Belfast Nashville Festival. Come and hear the catchy melodies, distinctive harmonies and instrumentation of the Corncrakes in their Downpatrick debut on Friday 16 November. For a taste of what to expect, you can find them on YouTube. 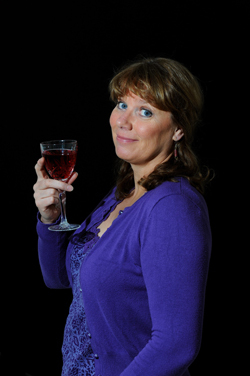 On Saturday 17 November DAC is delighted to welcome back comedian and actress Nuala McKeever with her new one-woman comedy show, In The Window. Nuala McKeever to the the boards in the Down Arts Centre. Things never go the way Margaret wants them to. She’s lonely. No husband, no kids. Her job’s rubbish. She can’t even get the timer on her DVD recorder to work properly. But tonight’s different. Tonight, she’s in charge. She’s got a bottle of booze and a bottle of pills and she’s going to end it all in one last gesture of capability. Unfortunately, Margaret hasn’t reckoned on the sudden appearance of Chris, a nervy young man who’s just come in the window of her house and is standing in front of her with what looks like a gun in his pocket. Margaret is delighted! She wants to make him tea and have a nice chat. Chris is panicked. He wants her to shut up and do what he says. In this dark comedy, Nuala McKeever takes an hilarious and often poignant look at what happens when two very different people are thrown together unexpectedly for one life-changing night. On Sunday 18 November why not spend the afternoon in the relaxing and entertaining company of Gilbert and Sullivan? Tim Hurst-Brown and Peter Hewitt present The Story of Gilbert and Sullivan as seen through the eyes of George Grossmith, the actor who created the comic roles in the Savoy Operas. Tim Hurst-Brown plays Grossmith, ably assisted at the pianoforte by Peter Hewitt. Grossmith gives us an insight into both W.S. Gilbert and Arthur Sullivan and enables us to meet the Sergeant of Police, Ko-Ko, The Lord Chancellor, Major-General Stanley et al. The Story Of Gilbert and Sullivan is a light-hearted afternoon of stories, songs, poems and music centred on the immortal Savoy Operas. If you are a G and S fan then this occasion is an absolute must. Enjoy a session with The Corncrakes. If you’re feeling creative why not come along to our Fabric Necklaces and Bracelets workshop on Saturday 17 November from 10.30am – 3pm? Tutor Janice McHenry will assist participants in using different fabrics and embellishments to create a simple necklace or bracelet. Also on Saturday 17 November, our artist-in-residence, Diane Lyness, will be running a Wire Workshop for children aged 11-14 years, from 11am – 1pm. Diane will assist participants in using materials such as tin, feather, fabric and wire to create a piece of 3D art to take home.